Hi! I’m Stephen. I’m a designer. I’m from the US, and I live in the Netherlands. I’m currently Head of UX at Catawiki. 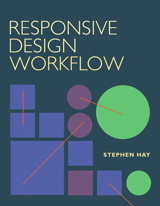 I’m the author of Responsive Design Workflow, a book about content-first design, drenched with my views on deliverable fidelity and prototyping. Previously, I worked with clients through my company Zero Interface. 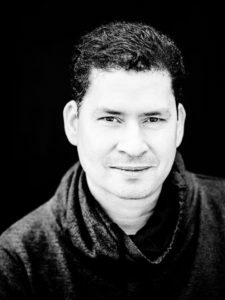 I worked with government organisations like the Dutch Ministry of the Interior and Kingdom Relations and the Dutch Ministry of Finance, but also with a wide variety of companies—from energy company Nuon/Vattenfall to award-winning business podcast and management consultants Manager Tools. I’ve conducted training and workshops for design teams at companies all over the map, including Marriott, Skyscanner, Ally Bank, and Zalando. Way, way back, I ran a small web design and development company focused on bridging the perceived gap between visual design, web accessibility, and usability. During that time, I co-authored the Dutch government’s web quality and accessibility guidelines. I write about work. In addition to my own book, I wrote a chapter in Smashing Book #3. I also wrote a column for Dutch magazine Web Designer, and have written features for Net Magazine. Sporadically, I even write on this blog. And finally, I love speaking about design when I can. I’ve been fortunate enough to speak at industry conferences around the world, including Fronteers, UXLx, Beyond Tellerrand, Smashing Conference, Generate, and many others. I currently only do a couple of speaking engagements per year, but if you’re interested in having me come and speak at your event, drop me a note.